Notable credit: Multiple designs featured in the '10K Sync Club' collection. Most popular design has 30,000 syncs. Thanks @Mellin ! Fingers crossed! You’ve got my vote! I love your designs - Comic crash, print simple and your Vulcan series are my favourite. Good luck! A unique collection full of fun and style. 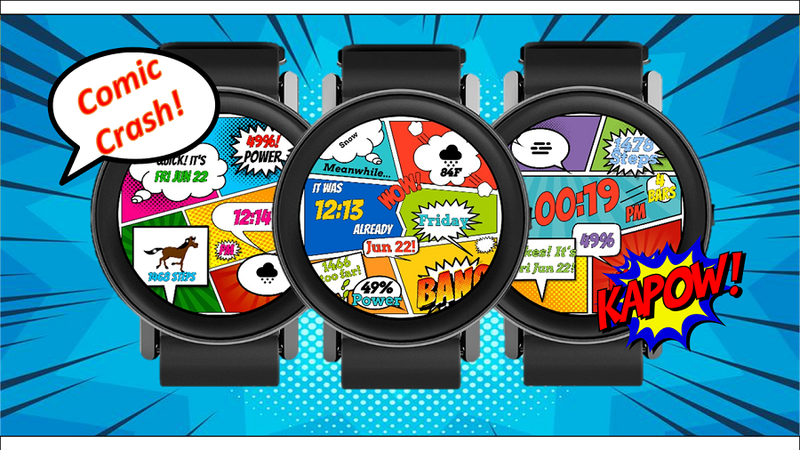 Comic-inspired pop art faces that hold a tonne of useful information. Enjoy! A collection of realistic, military-style designs by Roch: Platinum Designs. Enjoy! But not to forget: #ApproveLinlayPremium! You are more then deserving of the designation. Good luck!!! Lol! Thanks so much @syntaxracing! Yes, true! I've always thought that there should be a metric that measures success relative to opportunity/ target audience...Might be something for @Facer_Official to consider! Thanks @chadwgraves37! Crossing my fingers and toes!! @roycaruso, @phantasico, & @chadwgraves37 you guys are far to good to me. I appriciate all of your support and kind words. Also I agree with @phantasico, @Linlay for premium too! Her and Roy should be next for sure. Thank you for the support, but I think Facer would probably have to adjust the criteria for those of us designing for women. The staff may not have time to do that with all the other features they are working on.